Integrate Magento orders seamlessly into your system. Integrate Magento orders easily and seamlessly. Moving a lot of products with Magento? No matter where orders come from, you can keep track of them in Lingo. Integrate Magento orders into your system. Sales on your Magento platform keep increasing. That’s great news — except you’re struggling to keep up and managing these orders is taking up more and more of your valuable time. You need to get a handle on Magento transactions and integrate them into your internal system. Our Lingo software can be the portal that connects your business, internally and externally. 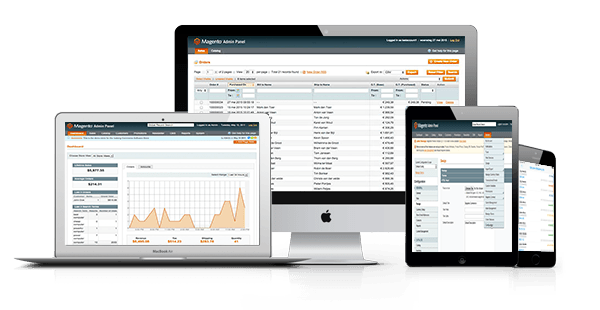 Need to get orders from Magento into Quickbooks or other accounting software? Lingo can do that. Want to integrate Magento with your API? Lingo can do that. 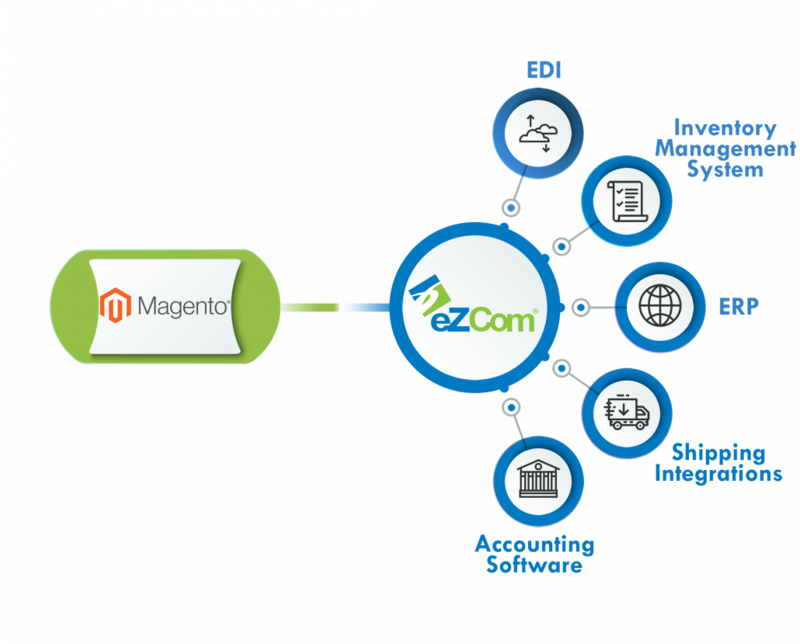 How about combining your Magento orders with your EDI transactions in your system? Yes, Lingo can do that, too. Bringing order to your orders — Magento, EDI, or sales from just about any platform or channel — is our business. And it can help grow yours. Magento with every part of your business. Making order management a seamless component of your operation is what we do at eZCom. Our Lingo software is not only easily integrated into your back-end accounting system, you can manage Magento transactions along with orders from all your other sales channels, whether they are ecommerce or EDI. To save you time and reduce mistakes, Lingo also connects directly to Fed Ex and UPS, so you can create labels without leaving the application. What’s more, information is automatically transferred to those labels, so a task that once took hours is reduced to mere seconds. Multiple validation checks are also built into our software to prevent errors. And whether you’re shipping direct-to-consumer or a single store, or sending large orders to multiple locations, you can manage all of it with our Lingo software — it’s a powerful portal that puts you in control of the entire process.